If the official start of the Christmas season is the day after Thanksgiving, then the official start of the gardening season is the day after Christmas. Or in my case, Christmas Day. Just a few days ahead of December 25th, the sun begins bathing the northern hemisphere with increasing light. Sure, the coldest days still lie ahead, but daylight breaks through the darkness minute by minute, day by day. If you watch closely, you’ll notice the gardener’s lips start curving up. Eyebrows arch ever-so-subtly, regardless of whether or not Punxsutawney Phil sees his shadow in a few weeks. The gardener gazes outside the icy window with longing. But now, the bare land no longer drones with the remnants of a season past. Now it pulsates to the quickening beat of the gardener’s heart. The former season has passed. Now a blank canvas, full of possibility, dares the gardener to dream. As a child, I looked forward to Christmas Day as the climax of a weeks-long crescendo. As an adult, December 25th has become the first note of a long, glorious score. That’s why when my family asks what I want for Christmas, I always have a few garden items in mind. What could placate a gardener’s longings better on a cold Christmas day than a snuggle by the fire with a new gardening book? What activity chases away the January blues better than organizing new tools on the garden shelf? Maybe you’re that gardener, longing for the day you hear the crunch of dirt underneath your boot, and you can think of no better way to spend the gift cards in your stocking than on new garden gear. Or maybe you’re searching for ideas to give the gardener in your life, and you want to choose that perfect gift. From first-time gardeners to those with permanent dirt underneath our fingernails, we can all get as giddy as a child on Christmas morning when we spot a potential garden gift underneath the tree. These items are sure to delight the inner child in us all. The more I garden, the more I realize how important the right clothes can be. 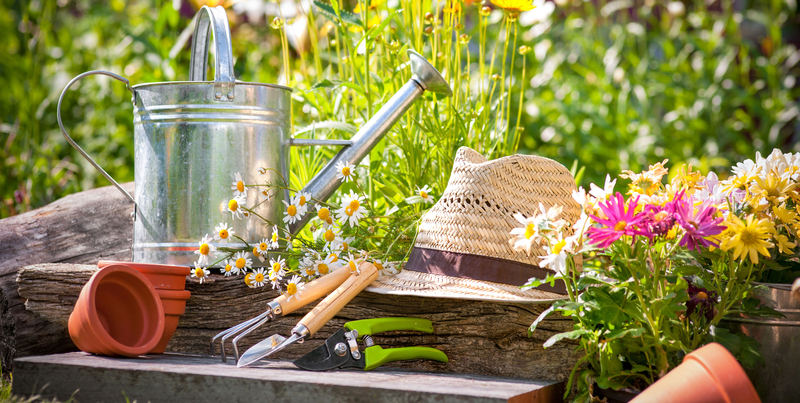 From walking in muddy pathways to protecting the skin, good garden apparel make garden chores more enjoyable. Slogger boots. These durable and comfortable boots repel water and sweat. Long-sleeved ventilated fishing shirt. These keep the gardener cool but protects the skin from insects and UV rays, plus pockets come in handy when planting. When the garden comes to harvest, sometimes we gardeners find ourselves scurrying to obtain the tools we need to harvest and prepare our bounty. These gifts will thrill the gardener in the height of the harvest — while giving them something to look forward to now. During the Christmas season, children get all the hype. But when a gardener receives that perfect gift, I daresay the excitement we contain (because we’re adults after all) rivals that of the happily squealing child. Be that gardener and don’t let social decorum impede your excitement. Smile from ear to ear and squeal like a child. Or give to that gardener and watch the restrained joy radiate from his or her face. Your gift will be remembered and appreciated all year long.